Laura went to Europe and all I got was this lousy pasta salad?! It’s true – we’re headed out for a couple weeks. I will respond to any comments when I return. In the meantime…enjoy! 1. Boil water and prepare orzo according to package directions – it will take about 9 minutes to cook once the water is boiling. While it boils, prepare shrimp and dressing. 2. 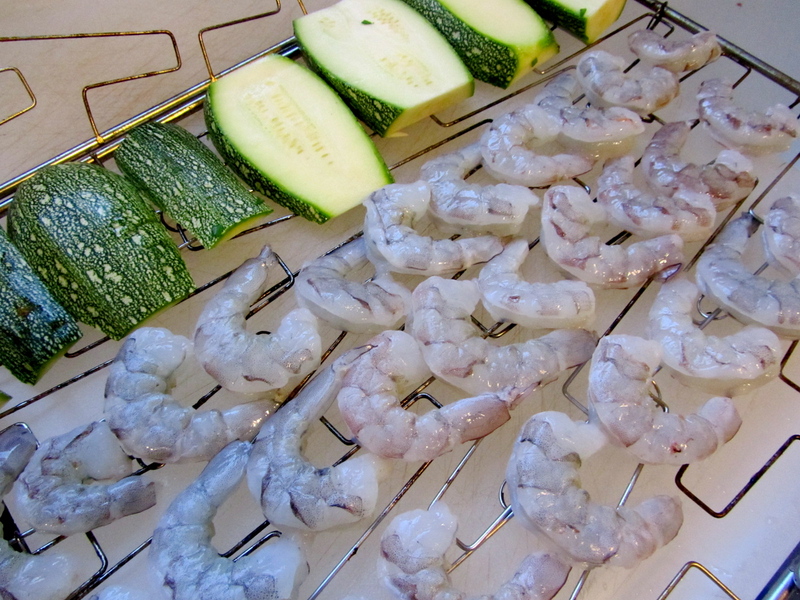 Arrange shrimp and zucchini in grill basket. Brush with olive oil, sprinkle with salt, and grill for 3 minutes on each side (Alternatively, cook in 400 degree oven for 6 minutes). Cut zucchini into small cubes (about the same size as the feta) when it comes off the grill. 3. Add lemon juice to bowl and slowly drizzle in olive oil as you whisk. Drain orzo and mix with dressing. 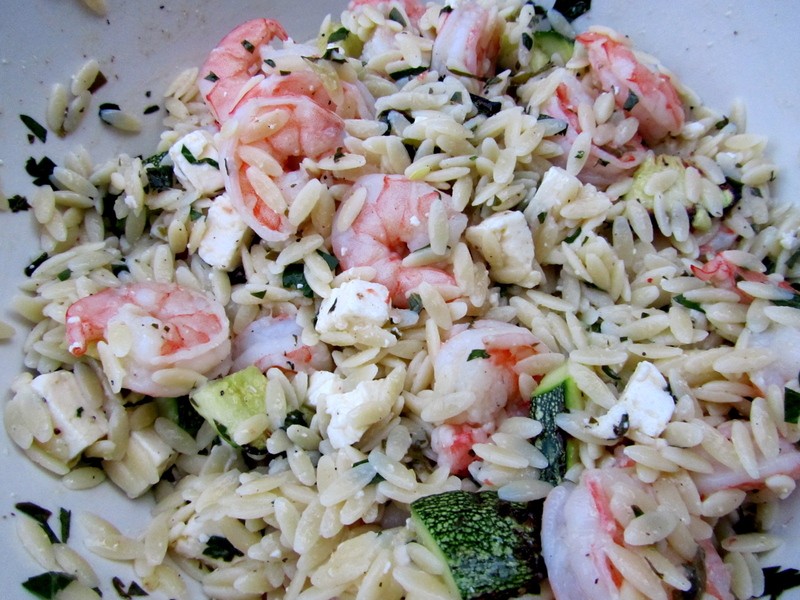 Add herbs, feta, shrimp, and zucchini and toss to coat. Serve right away, or let chill. Will keep 3 days. This entry was posted in grilled, pescetarian, salad, seafood, vegetables and tagged Greek, grilled, salad, shrimp, zucchini by Laura Zolnoski. Bookmark the permalink.